As you may have noticed, I haven’t been blogging much at Surly Muse lately. I was working hard on making Orison the best book I could make it, and that took all the time and energy I had to do so. Flash fiction, blogging, and even supporting other authors as much as I wished to all went by the wayside. But it’s over now, and in the breath between this book and the next, I’d like to tell you a few of the things I learned along the way. You must sacrifice. For over a month, I did almost nothing but edit. I managed to keep up with my day job, but only barely. Friendships, social gatherings, games and TV all had to go. I needed every ounce of focus and drive to get this book out the door. The book ate my life. I looked back on the lackadaisical months and years I spent procrastinating and stalling on previous books and realized just how wrong I’d been doing it. This is a lot of work. That first draft you’re so proud of? Only the beginning. It’s like Frodo and company getting to that little house at Buckland and having a beer. You’ve still got Mordor to go, and the road is long and hard. So get moving. Revisions can take all your energy. On the up side, I have never enjoyed such black and dreamless sleep as when I was in the throes of edits. I would shuffle to bed at the end of each day and collapse, my brain utterly exhausted. It made me grouchy and terse. Few noticed, because I’m always grouchy and terse, but that’s beside the point. People ask “hey, how are the edits coming along?” and I would grown and slam the phone handset back into the cradle, or would have if I still had a landline, or if people called me on the phone. Planning and detail are key. Finishing Orison made me less of a pantser than ever before. Why? Because every detail needs to be consistent, every plot needs to come together, every foible and behavior of every character must add up. If they don’t, readers will notice, and the more planning you do ahead of time, the more intimately you know your characters and your plot, the less work you’ll have to do on the back end. No disrespect to anyone who can just improvise their way through a novel. But I’ll never write that way again. You need people. Beta readers, reviewers, artists, and friends — you’ll need them. Remember that Lord of the Rings analogy I was making earlier? Yeah. Frodo wouldn’t have gotten far without Sam. You’ll need support, and advice, and caution, and praise, and someone to hold your hair while you throw up. Okay, maybe not so much that last one. When you think you’re done, you’re not done. 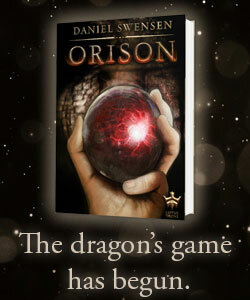 I sent the “final” draft of Orison to my publisher with the thought that it was really close to done! Nope. It was still so very far from done, and I didn’t even realize just how not-done it was until the third round of revisions. After a full rewrite. Revisions will bring to light new and exciting flaws you’d never noticed before! Thrill as you realize your plot has a huge hole! Marvel at the way your characters change without said change being evident to the readers! Dread fixing it! Know you can’t avoid it! Throw away passages you loved because they no longer work! No time for tears, it’s revisions! “The best you can make it” and “the best it can be” are two different things. This was a tough one. More than once, I hit a dark patch in my revisions where I considered rewriting the entire book from scratch. (I also considered setting my computer on fire, but I’m fairly certain I wasn’t serious about that). There were still a few problems. The themes weren’t quite as resonant as I wanted. The supporting characters could use more development. The scope could be a bit bigger. More, and better, and this change and that change, and soon I was looking another rewrite in the eye, and I couldn’t face it. I realized it’s terrifyingly easy to just tweak and edit a book forever because you want it to be perfect, and it never will be. When you hate your book, it’s finished. Before it was over, I all but loathed poor little Orison. I wanted it, and all the characters in it, to die. Mostly because I was tired. Tired of trying to perfect every moment and nuance, tired of trying to bring every emotion and note to the page. When I finally finished my revisions, I had a really solid book… but boy, was I ever sick of looking at it. That’s how I knew it was done. I still loved it, of course, but in the way you love a child who has been playing a game called How Loud Can I Scream for two months solid. Marketing can bruise. Promoting your book can be rough. Getting attention is difficult. You worry about irritating people. And guess what, you’ll almost certainly irritate somebody. And if your release has taken a long time (like this one has) even the well-meaning jokes can start feeling a bit face-slappy. You just have to get through it. Thick skin, and all that. But remember to retreat and take some time out when you need to. There is only the next work. People kept asking what I had planned for the big release day. The truth? I just want to work on the next book. Turns out sitting back and reflecting on my accomplishment (singular) isn’t really my style. I couldn’t make Orison perfect, but I think I did make it damn good, and now I’m excited to make the next book even better. I hope you’ll come with me on that journey. After all, Frodo wouldn’t have gotten far without Sam. Speaking of which, I couldn’t have gotten here without the help of Anna Loy, Gina Swensen, Angela Goff, Ruth Long, Eric Martell, Tracy McCusker, Khairul Hisham, Lisa Tomecek-Bias, Aaron Engler, Matt Kessen, Christina Ramey, Paul Ramey, and many more. Thank you all. Hey there! Haven’t seen you in awhile! Where have I been? Nevermind! This is not about me! It’s time for another round of Surly Questions, this time with J. Birch, author of Gasher Creek! I was eleven. I had watched the Garfield special “Babes and Bullets” and wondered if I could write my own PI mystery. It was about ten pages long. After that, I was hooked. 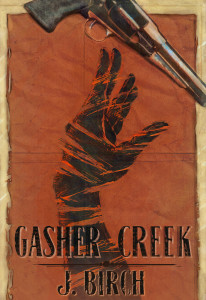 Tell us about Gasher Creek. Jack Devlin awakes with a shotgun pointed at his face. Sally, a whore, lay dead beside him. Jack remembers nothing of the previous night; could he really have killed her? And if so, why? He has questions, but some folks in the town of Gasher Creek don’t want them answered. And after a lynch mob storms the jail, he manages to escape into the vast and empty prairie. Now he has no food, no water, and no horse. Back in Gasher Creek, Sheriff Tom Tracker is certain Devlin is the murderer. But without a confession, he’ll need evidence. What he finds is unlike anything he’s ever seen before. If Devlin is guilty, he isn’t the simple odd jobs man everyone thinks he is. Instead, he’s something much more calculating and dangerous. 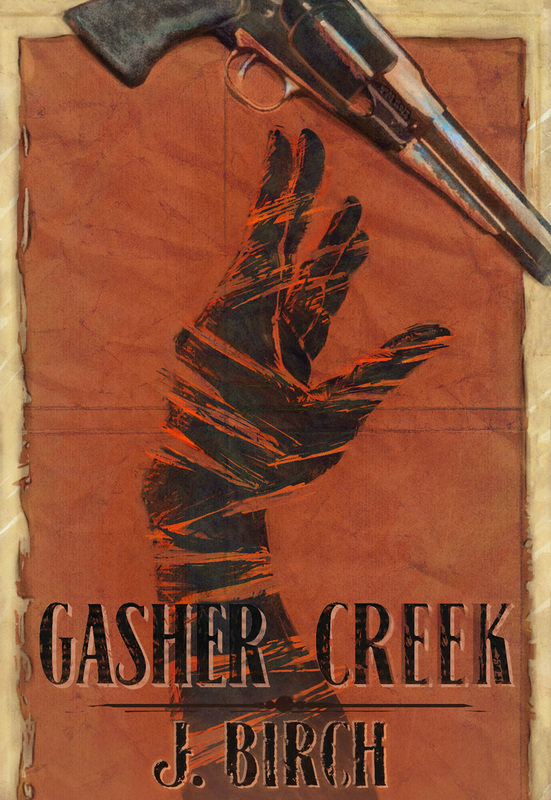 What books or media inspired Gasher Creek? Gasher Creek was, oddly enough, inspired by the movie “Brokeback Mountain”. At the time, everyone was caught up in labeling it the “gay cowboy movie”, but I saw it as a movie about loneliness and how loneliness can destroy lives. So I decided to write a western about loneliness. As it evolved, it became a book about guilt, and that guilt produced a mystery plotline. GC was also inspired by my love for early Elmore Leonard westerns. Although he’s primarily known today as a crime writer, he wrote some amazing westerns. 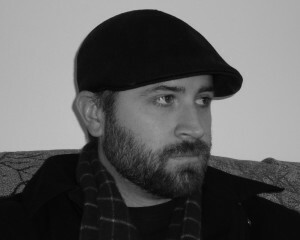 Ross McDonald and Dashiell Hammett mysteries were also an inspiration. Readers will also spot hints of Clint Eastwood’s “Unforgiven” and David Milch’s “Deadwood” TV series. What does your typical writing day look like? My typical writing day is two hours in the morning and two hours in the evening. I try to stick to this routine every day, even on holidays. When do you know a book is done? When I’m burnt out and I can’t write another word and I wish the horrible thing would just go away, then I do one more draft. And then it’s done. What has been the most rewarding thing about connecting with other writers through social media? The opportunity to meet them! None of my friends are novel writers, nor are any of my family members. So, before Twitter, it was like writing in a vacuum. Now, thanks to Twitter, I can communicate with other people who are also crazy. This is a quote by Brenda Ueland from her 1938 book “If You Want to Write”. The entire book is a gold mine of great advice, but that one line has always stuck with me. If you tell the truth of what you “see” in any given scene, then you won’t fall into the endless “purple prose” that clogs up so much amateur (and sometimes professional) fiction. Write what you see, and the reader will understand. Write lines like “He looked at her as if his heart were on fire with sapphire wings of passion” and it will only confuse them. And do you really see sapphire wings of passion? Really? Or are you just trying to sound “literary”. Don’t. Write honestly, and you’ll do two things: you’ll avoid cliché, and you won’t give your readers a bunch of sickly sweet drivel. Don’t lie to them, and don’t lie to yourself. Tell us about your next book. It’s a two part science fiction series, and that’s all I’ll say about it. For now. For me it’s more of a what than a who. Music and movies have had a huge impact on my writing. Music taught me rhythm, and because of rhythm, I can edit. I tend to cut out what doesn’t fit into the groove of a scene. I’m not sure if this musical approach is common among writers, but it’s what works for me. Movies taught me the power of “showing” rather than “telling”. So much character motivation can be shown through body language and dialogue, so that’s what I’ve always relied upon. Big blocks of internal narrative have always bored me to tears. As for writers who’ve inspired me: Elmore Leonard and Roddy Doyle taught me how to write dialogue. JK Rowling and Terry Pratchett taught me about the importance of movement in a scene. Richard Matheson and Michael Crichton showed me that you can make a movie that just happens to be in the form of a book. I’m hoping to be finished the two-part sci-fi series by May. After that, it’s going to be a smaller romantic comedy, and then a trilogy that will either drive me to the asylum or place me in a permanent spot outside the local liquor store. But I’m excited to work on it.